An Interview with Sovereign magazine. I would need to take you back to the late 1950s when I was a little girl and saw some pictures of Tibet and its mountains. I always loved mountains, desolate places and the stories behind them, and this, the roof of the world, drew me time and again. In some ways, I felt the countryside of England alien to me, beautiful though it is. As I moved into teenage years and wanted to be an explorer, with the strong curiosity I had and still have, I tried to find careers and work which would enable me to do this. I became an astrologer and timing adviser when I was 27 in 1979, and have enjoyed a multicoloured career helping clients – individuals and businesses – explore the landscape of their inner world, choices and timings. I travelled a great deal with my work but my dream of going to the roof of the world had not yet manifested itself. The desire to help people and be of service never left me and I wanted to combine this with travel and adventure in later life. And then I came across Spiti Projects www.spiti.org and a very special lady called Joan Pollock. Through her, I discovered that the Spiti Valley was part of a remote Himalayan valley 150 kilometres long and 4-5,000 metres high with perilous passes into it. In 1849 Spiti was incorporated into the British East India Company by Major Hay. The Nono, the local prince of the valley, was given the position, with guidance, to administer the area until 1941. Spiti has retained its pure Tibetan Buddhism culture and tradition. Naturally, this spoke to me, and when I knew Joan was ‘going in’ this year – she visits up to three times a year – I asked to become part of a small group of four. At 66 years of age, I felt I had waited long enough. I had no need to go to Lhasa in China Tibet to experience being on Tibetan soil when I could go to meet some of its people in Spiti valley on the south Tibetan plateau. I had two major dreams as a young person; to have a meaningful book published so that I could leave a legacy behind me one day, and to walk the Tibetan plateau. Both dreams have now been fulfilled, and both have made me content! Both highlighted also the desire to have a purpose and to step outside my comfort zones. It felt like going into the unknown and yet it was strangely familiar – the feeling of which intensified as we journeyed into the valley. Going into the unknown raises many emotions and I certainly felt them. Why now indeed! The Spiti valley – the name Spiti means ‘middle land’ where two worlds meet – is changing of late and will continue to do so. There is no airfield there and it is not a journey for the faint-hearted. Anyone with a trace of vertigo might be wise to avoid the journey! Joan Pollock was invited to visit the Spiti Valley with a team of doctors in 1993 when restrictions for foreigners were lifted. She was so distressed by the poor health and lack of well-being of the local people that she set up a charity, Spiti Projects, which has brought many positive changes: A hospital in Kaza, complete with operating theatre, was opened in 1995. A school was completed in Mane village in 2005. Ten years later a Community Centre was opened in the capital, Kaza, for which in 2016 a United Nations Award for low carbon emissions was awarded for its environmental technology and use of solar energy. The introduction of rammed earth and adobe bricks – cheaper than cement means a big saving of wood. These bricks keep the inside temperature above zero degrees centigrade as the outside temperature can reach minus 20 degrees or below. As there are over 300 days of sunlight a year, solar heating is the obvious way to heat the buildings. With the help of doctors and with top architects from the Auroville Institute in South India, the health of the Tibetan inhabitants has improved beyond measure. Joan has worked tirelessly and raised funds to improve the lifestyle of this medieval culture. There is a craft and weaving room in the centre and a library. An Eye Centre is underway. If conditions are still tough now they were even harder 25 years ago. As a photographer, Joan is creating a legacy of images and stories for future reference, especially were the culture to change politically. So… I knew it was the right time for me to visit as for six months of the year it is snowbound and the passes are cut off. We were honoured to be invited to sit with the high lamas of the Gelugpa sect (yellow hat) in a special VIP area overlooking the Key Monastery courtyard. The Key Monastery, built on a high craggy hill, overlooking the Spiti river near Kasa. It dates back to the 14th century and we were privileged to be allowed into the temple rooms as they prepared for the event. We met and talked with T.K Lochen Tulka Rimpoche, the 19th reincarnation of Rinchen Tsangpo, who, back in the 10th century, opened up 108 monasteries and translated manuscripts from Hindi to Tibetan. We also met the retired head Lama of the monastery who is in his nineties. The smiles and humour were so natural and life-affirming. They were never forced and there was a relaxed atmosphere, which I haven’t felt with many religious situations or ceremonies. Timing is thus everything and all the conditions were in place for my visit. My three lady companions were true travellers, and being part of this foursome was harmonious, seamless and full of humour. It came at the right time astrologically for me – I am sure the Tibetan astrologers there would have agreed with that – in a year when retreat, more quietude and contemplation were requirements for me. The planetary transits in my birth chart mirrored and requested these needs and I followed their call. I had been feeling the desire to sponsor and help a child for some time, and in the Spiti Valley, the opportunity came to do just that. Interestingly, when I met Tanzin who comes from a small, poor village, her grandmother knew immediately her time of birth to the minute when I asked for it! The importance of the cosmic clocks and ‘as above so below’ is very evident in that culture. I will support her in her education for 10 years and maybe longer. WHAT WERE THE HIGHLIGHTS OF YOUR VISIT? As I think back over the highlights they change for me. Some consistently glow in my heart: The pure air, the geology which shifts from moonscape to lush and floral, the devoutness to Mahayana Buddhism and the quietness, the hard work to survive there as a tribe, the simplicity and love of simple rituals and the quality of family life and kindness that I witnessed. The strong sense of the spiritual is seamlessly woven into everyday life and routines. Compared to many places and religious activities there is no separation or division. With true spirituality, humour is always present. This made a huge impact on me. The sandstone and granite natural ‘sculptures’ were amazing. Sandstone rifts over time created pointed shapes and flat surfaces. I thought they looked like guardians standing sentinel. With pointed tops they seemed to cling to the mountainsides as if climbing the sheer sides – the highest mountain in the north, Parang-La is over 7.000 metres and Manirang in the southern range 4,600 metres. The glaciers and waterfalls and some green slopes and flowers seemed almost alpine. In a relatively small deep valley, there is a huge interest for geologists. We saw Himalayan blue poppies clinging to the harsh rock. These are a rarity and it is apparently good luck to see them. The beauty helped to distract a little from the perilous tracks with their constant landslides and loose edges. It is not uncommon to be stuck overnight because of rock falls. We were not, but at times we needed to move boulders. Our two drivers, one each way, were remarkable and seemed to find humour in the difficulties and obstacles. I know my stomach muscles tightened as a result of all the bouncing around in the jeeps for 13 hours! Having to be very much in the present with no wifi in the valley and no demands from the outside world- apart from the necessities of Spiti life, which has its natural rhythm and total interconnectedness with nature- I sensed within me a gentle calm and acceptance. The journey itself was extraordinary. From lush valleys to the stony rocks of the Chandra Valley (I named it the valley of the Stone people!) to high passes and waterfalls and farmland. The livelihood of the Spiti people is subsistence farming, peas being the main cash crop, as well as barley and potatoes. We were there for the pea harvest. Once in the valley we stayed at various home stays and were given Tibetan tea and local dishes. Joan knows the local people from over the years and was warmly welcomed. The telegraph bush system was in action! Poor though they are the hospitality and kindness were abundant. I noticed a ‘light’ in their eyes wherever I went and their ready smiles. A softness in the way they walk and talk made me feel at home, as people have commented to me that I do. I was also deeply impressed by the care of the elderly. It hasn’t been easy coming back to our busy western ways and London life! Interestingly, I was told that traditionally the parents send the second son to become a monk at the age of eight years. He is usually given a puppy to comfort him and an older monk to support him. The Tibetans aren’t demonstrative but caring and I identify with that. We visited the school which Joan enabled. There is a statement on the building saying, Come and learn. Go and serve. The Tibetan dialect of Bhoti is the primary language, though Hindu and some English are now being taught. I learnt that Buddhism was introduced in the 7th century but before then there was Bon, an atavistic religion. In the 14th century came the first Dalai Lama. Joan is privileged to have had personal audiences with the present one. I love his statement that if a problem can be solved there’s no need to worry. If it cannot, worry is of no use! Once when asked why he wasn’t angrier about his exile since 1959 and about what was happening to his homeland, his Holiness said that if everyone wanted an eye for an eye we would all be blind eventually with no eyes! We visited the 11th century- Dankhar Monastery – a dramatic looking building, once a Fort and Royal Palace and now back to being a monastery. We also visited Tabu monastery, which houses exquisite murals and stucco sculptures, built by Richen Tsangpo, completed in 996AD. I think it was the simple things that moved me the most; the rhythm of life in the valley, the landscape and the interaction with this Tibetan ‘tribe’. How even in harsh conditions of climate and nature, beauty, growth and happiness are present. This land was once under the sea and the rock has been shaped from this. Geraniums, gentians, cosmo daisies, yellow Himalayan clematis, pink wild rose bushes and even edelweiss, were a feast for my eyes. The food was naturally all fresh and Tibetan tea, which is made with ghee, an experience. Then the next thing I knew I heard a noise behind the curtain and there was a very big mouse, maybe a gerbil, all beady-eyed and fat, looking at me from the curtain rail! Now I am not nervous about rodents and I also didn’t want to disturb the household at one in the morning. So I thought the soul visit I had intended could wait and said to the creature, “Okay mouse, I know one thing, you and I aren’t both going to sleep in here tonight, and I think it will be you staying.” I took my duvet, said goodnight to him or her, and went elsewhere. He or she was gone in the morning. I hope it slept well! Obviously, the nature kingdom wanted me to be grounded and not go meditating off to higher realms. I may have been on the roof of the world but I was kept down to earth! I like the humour in that! I definitely contacted another realm and the rodent kingdom paid its visit. We went to the Pin Valley and visited Khar village where we did a hygiene clinic and gave the children shoes, sweaters, toothbrushes, soap and shampoo, as well as pens and pencils for school. It was a delight to be there and spend time with the poor and shy but playful little ones. After 16 days we journeyed back. At the top of the Kunzun – La Pass at 15,500 ft, we stopped and looked back at the Spiti Valley. We walked clockwise around the stupas and, on the roof of the world, truly I gave thanks for being granted the opportunity to experience that special piece of Tibetan land. I gave thanks for the magic of the Tibetan people and their big hearts. I made a wish at the stupa that the little girl I have sponsored for the next 10 years will have a healthy, happy life and a good purposeful education. Our journey back over the passes was safe but arduous. The snow on top of the mountains was melting and some of our jeep journey was difficult as water, thundering down the mountains, made the tracks difficult to drive along. Also, in order to circumvent the boulders which had recently fallen, it sometimes meant being perilously close to the edge! Coming down from the Rhotung Pass, which was fog bound, into Manali, the traffic was slow due to many lorries, but 13 or 14 hours later we arrived into a temperate valley. I have rarely felt lonely- my inner life, books, nature and music and later good friends and partners gave me joy – but I have discovered that people often experience loneliness because of a mismatch between themselves and people, places and jobs. I felt grateful that my time in this remote kingdom and with the Tibetans felt balanced, peaceful and so alive. There was no mismatch. 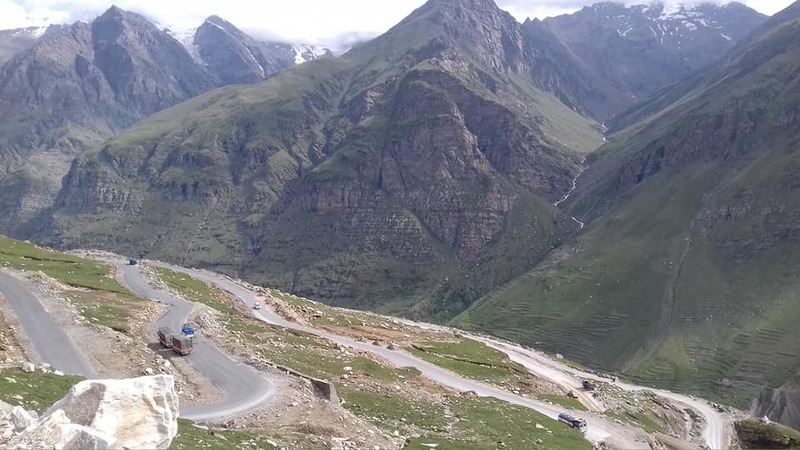 WHAT IS YOUR CONNECTION WITH SPITI VALLEY SINCE YOUR RETURN? On returning home, I felt I had re-connected with a special part of myself. People have asked me how I feel now I am back? I feel at times a disparity between the inner quietness I experienced on the Tibetan plateau and the pace of western life wherein we feel disconnected from our authentic self with the expectations put on us to fit in. Alignment is never easy. Underlying this though is the sense of magic which comes from observing how the people I met there feel a common thread and operate within that knowledge. The light I saw in their eyes, regardless of hard and tough conditions, connected me with their innate gentleness, strong inner core and ability to tread softly. They are fundamentally aware that spiritual belief and day to day life are synonymous. My connection with Spiti now is to support as much as I can Spiti Projects. The child sponsorship scheme is valuable of course and there is a need for an Eye Centre for the local population as the nearest alternative is in Simla or Manali, which is 300 kilometres away. This unique culture with its legacy of the past, its desire to educate the young and have better health facilities, together with its monasteries and lifestyle, is worthy of protection and help. The Spiti Projects Charity would be very grateful for any contributions, however small. Joan Pollock can be contacted at www.spiti.org. It is said that travel broadens the mind; I grew up with that idea. I have been fortunate to experience travels where I lived with the people of those countries and experienced their worlds, and where I could take my astrological and timing skills and my talks and workshops, every place altering me and enriching my memories. This special time in Spiti on the Tibetan plateau did more for me than any study, book or degree course could do. Feeding my mind as I was told to do as a child, is like making a choice between non-processed food and junk food. The latter is empty and we crave more, the former is of finer quality and we need less but are healthier. My mind was definitely fed there. If I have a message for my readers it is this: We need our lives to be in alignment with the rhythms and messages of nature, the planetary alignments and our inner timekeepers. Not easy in this modern, social media-oriented world but we need to know when it is wise to pause, as the world will survive without us! The universe does not want us to keep pushing forward without rest. Our minds, in particular, disobey this wisdom. Music and dance have pauses as do interesting conversations! To recognise when we are ‘off map’ we need to realign and recognise we are not alone and that we are part of an interconnected seamless web of energy. When we align we are more connected as a whole. Otherwise, we reinforce our sense of separation and feel more isolated – A big problem with the world now. The poet and writer Rudyard Kipling once referred to Spiti as a place to find truth, silence and peace among the surrounding six thousand peaks under a cobalt blue sky. I came across important words of The Dalai Lama saying it is sadly observable that instead of loving each other and using things, we often love things and use people. In that remote, geologically and climatically challenged and hard to reach valley on the roof of the world, I sensed the living philosophy of how nature, Spirit and people can cooperate. YSANNE LEWIS is a UK and London based Timing Advisor, Astrologer, Speaker and Author. Her work spans 40 years and she has clientele here and in the USA, Asia and Europe and South Africa. Working with individuals, families and businesses, she seamlessly weaves the meanings of cycles, timings and patterns in educational, inspirational and humour-filled ways into the beautiful tapestry which is Life. She acts as a bridge and navigator between the maps of the heavens and our inner landscapes and their timekeepers. 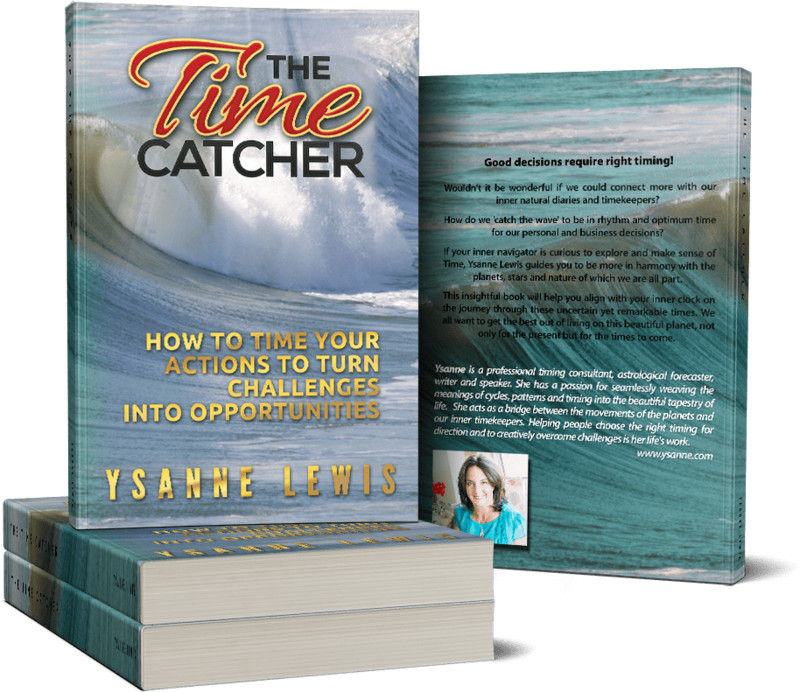 She is the award-winning author of “THE TIME CATCHER” How to time your actions to turn challenges into opportunities. Part of the proceeds from the sales of this book will aid the eye clinic in Spiti. Ysanne shares her knowledge of how she is inspired by the beautiful rhythms and messages in nature and the cosmos, and the importance of trusting our encoded inner timing. Read reviews & order your signed copy now!